Great home just outside Lineville features 3 BR and 2 BA on a level lot with beautiful views of the back yard and surrounding area. The 1500 SF home features an immaculate open interior with living room, dining and kitchen. Has brand new stainless appliances along with breakfast bar in kitchen with new hardwood laminate and vinyl flooring, newly painted rooms. Large Master bedroom with master bath and tub/shower combo. Home features a front porch and a large back deck for relaxing and enjoying the views. 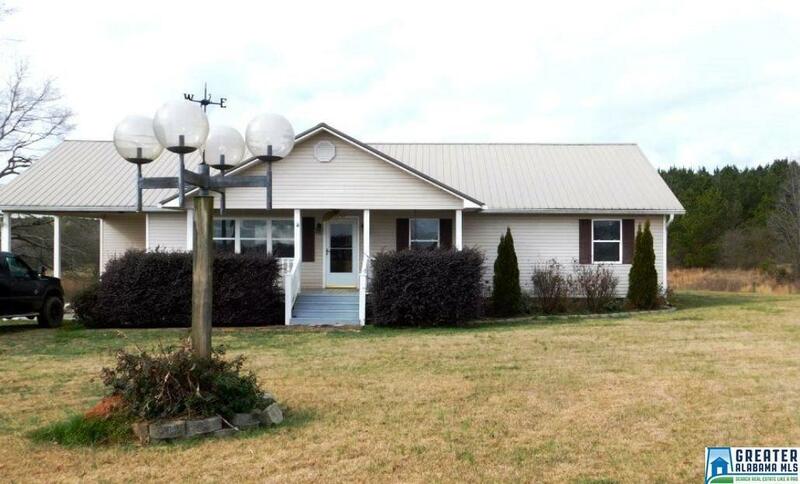 The 4.3 +/- acre property includes a storage building. Don't hesitate or this house will be gone!